The flat has been recently refurbished throughout and beautifully furnished.The accommodation comprises a bright open plan reception room with dining area leading to a modern kitchen with integrated appliances. The master bedroom is quietly situated at the rear of the building with a full range of fitted wardrobes and en suite bathroom. 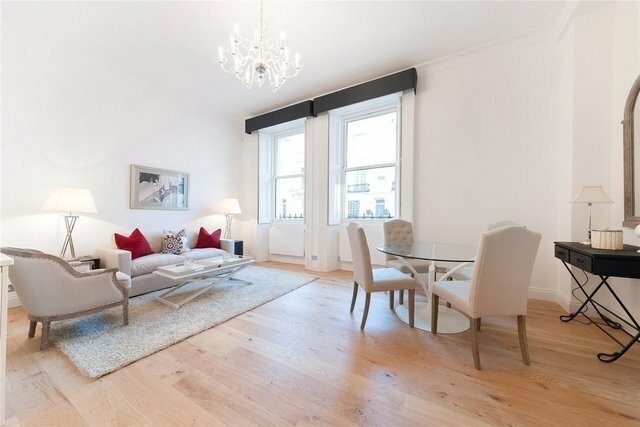 There is a further double bedroom and second en suite bathroom.Ovington Gardens is quietly located between Brompton Road and Walton Street. Close to Knightsbridge underground (Piccadilly line) and all the amenities of Sloane Street and Knightsbridge.